IoT growth depends on an open ecosystem. It cannot wait, nor can it be like Apple and take from the ecosystem without contributing. Update: In response to a post on Daring Fireball saying I had incorrectly stated things about the Mac, I have written a reply — Rebuttal to Daring Fireball: FreeBSD, Intel and Microsoft did save the Mac — which includes a correction and clarifications. This post is an excerpt from a talk I gave at the Reality Virtually Hackathon that makes a similar comparison between virtual reality and augmented reality and the Mac. It holds true for the Internet of Things (IoT) and every emerging technology. Many IoT devices makers build on proprietary platforms. Proprietary hardware is an advantage during the emergence of a new platform — until it is not. A proprietary platform protects intellectual property from reverse engineering because the software is tied to the hardware and it can be tuned for performance. Custom-designed hardware performs better — until it doesn’t. For example, when supercomputers, video bridges and CAD simulators were first introduced, all took advantage of custom, proprietary hardware to gain time to market. Now mature products, almost all the supercomputer, video bridge and CAD simulator suppliers use x86 and Nvidia platforms because these they have open ecosystems that add capabilities and value while reducing cost. In 2007, the Mac was on life support. Consumers and companies bought Windows XP and Vista machines instead of Macs. The Mac had been very proprietary up until then. The hardware platform was based on the Motorola 6800 family, which came in third behind Intel and AMD and the PowerPC. It ran a proprietary OS with components of FreeBSD Unix, but it was not Unix compliant. The Mac transitioned that same year. It had been a proprietary device running a proprietary operating system, with a beautiful proprietary user interface (UI) in an elegant ergonomically designed enclosure. Apple pivoted by shifting to the Intel platform and FreeBSD Unix, complying to the Single UNIX Specification (SUS). The Mac today is a PC running an open-source operating system with beautiful proprietary UI in even more elegantly designed enclosures. FreeBSD influenced the evolution of the MacOS. Since the transition, many FreeBSD Unix components were rewritten and many APIs were added. 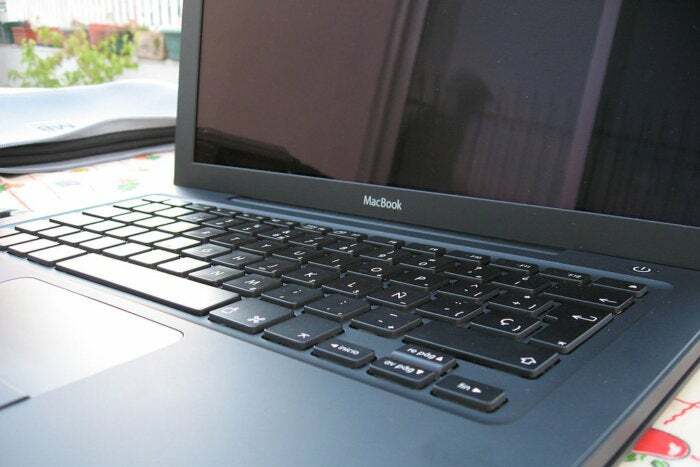 The Mac gained two advantages from the FreeBSD and Intel ecosystems. Firstly, though, the Mac has always been premium priced compared to PCs. In 2007, it became overpriced because the scale of the proprietary hardware components used to build it was dwarfed by the scale of x86 microprocessors, which were built by Intel. Intel owns many multi-billion-dollar advanced semiconductor fabrication facilities (fabs) optimized to reduce manufacturing cost and ship large volumes of devices. Secondly, SUS compliance brought with it a robust toolchain for Apple’s internal and external developers. After the transition, Apple could focus more engineering on its UI, integrate with other Apple devices and make the enclosures even more elegant. Apple eliminated redundant development but maintained a high degree of product differentiation. Right now, proprietary is a good approach for IoT device makers. During this nascent stage of IoT adoption, makers need to optimize low-cost, low-speed and low-power devices. They must also run a minimum OS to spare the lightweight platform and minimize the time to market of new and improved products. But IoT makers cannot wait for someone else to build the ecosystem. If IoT makers really want to accelerate adoption, they should identify all the non-differentiable and redundant development and apply open source and open innovation to eliminate the redundancy. The lead engineers at these competing companies should form alliances to open the parts of the IoT platforms that do not differentiate their products to the IoT development community to inspire an open ecosystem. The device makers should press IoT microprocessor and microcontroller makers such as Intel, TI, Microchip and STM to invest more and iterate this new class of silicon faster. IoT requirements are not the same as embedded systems, often incorrectly included in IoT forecasts, because by definition, IoT devices need processors and controllers that include integrated low-cost and low-power radios that in New Jersey parlance — says easy, does hard. The best thing that happened to PCs was the x86 architecture, and the best thing that happened to smartphones was the ARM architecture. Discrete components were integrated into single dense systems on a chip (SoC), reducing the design engineering needed by PC and smartphone makers to build new products. Though I admire Steve Jobs’ product design and development, I’ve never quoted him as a guru because he was mercurial and mean. Others are willing to overlook this, and some even accept that as a necessary element of Apple’s success. But companies such as Google and Facebook prove that mecurial and mean leadership is not necessary for success. Apple has not made a big contribution to the ecosystems from which it harvests openly developed technology and the works of other people, though Apple’s horde of lawyers has protected the company from licensing lawsuits. Facebook and Microsoft both are represented on the FreeBSD Foundation board of directors because they want to guide development to remain open, meet their needs and contribute to the robustness and evolution of FreeBSD. Apple’s taking without contributing is not limited to FreeBSD. Apple should give back. It should pay its taxes to support the community from which it thrives. But it doesn’t, except perhaps in proprietary open-source projects like Swift. IoT desperately needs to cultivate an open ecosystem. No company in IoT can afford to wait because none has Apple’s reach. None can afford not to contribute.